I've always loved beautiful paper and feel it has limitless possibilities. It can be used to create, to cover and to embellish. What more can one ask for? I especially love themed paper packs because then I can do coordinated projects. This is why I love using these stacks as a start to my paper party. There is so much that can come out of a stack! In this book I have mostly used stuff by DCWV as I am on their guest design team and because I have loved them for ages. The projects in this book are meant to be a sampler of what you can do; changing the paper can totally change the look of the project. So you can go with your favorite stacks! 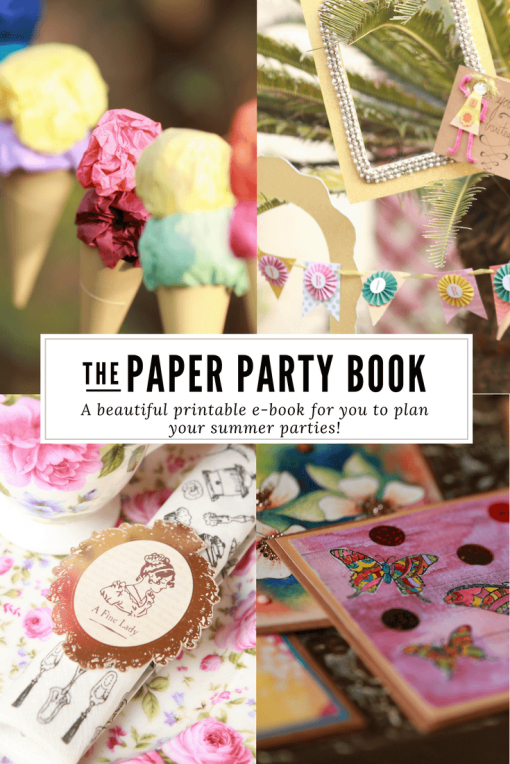 I hope you enjoy a paper party! I’ve always loved beautiful paper and feel it has limitless possibilities. It can be used to create, to cover and to embellish. What more can one ask for?